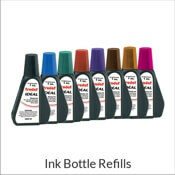 If you are looking for the Ideal 300 stamp, it has been replaced by the new and improved Trodat 4926 (also known as the Ideal 4926). If you are looking to order a new Ideal 300, you will be shipped the Trodat 4926. For more information on the Trodat 4926 contact our Customer Focus Team. 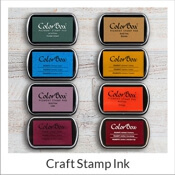 This model is available with up to 6 lines of text in your choice of font and ink color. 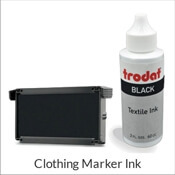 The Ideal 300 - now the Trodat 4926 - will provide you with thousands of quality impressions. 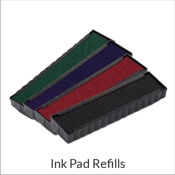 If it's time to replace the ink pad in your current stamp, we've made it readily available and easy to find here at Simply Stamps.